Why complexity can be the kiss of death. How to measure the overall complexity of your company. 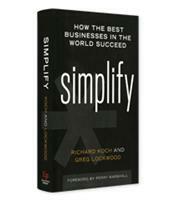 How to detect needless complexity in different areas of your business. How several major companies have rooted out and eliminated complexity. How several major companies have used complexity to their advantage.